Arthritis is a condition that can cause painful swelling of the joints, reduced mobility, stiffness, and even joint degeneration. The use of HGH therapy for arthritis is one way to restore pain-free movement for many people. The most common forms of arthritis are rheumatoid arthritis and osteoarthritis. We will go into extensive detail about using HGH treatment for arthritis of these types below. HGH therapy is not recommended for use to treat psoriatic or septic arthritis. HGH treatment for rheumatoid arthritis is not a cure, but it does provide effective benefits that can improve mobility and reduce pain. For individuals with osteoarthritis, human growth hormone therapy supplies an increased amount of new cells to rebuild cartilage that cushions the joints. Bone strengthening also occurs. Certain benefits of using HGH therapy for arthritis should not be overlooked when a person is also diagnosed with growth hormone deficiency. Arthritis can lead to swelling in the body’s soft, connective tissues. As this occurs, flexibility declines. With a reduction in cartilage, the bones begin rubbing together. The bones continue to weaken. Typical treatments such as anti-inflammatories and pain medications mask the situation. They may provide some relief, but they do nothing to address the degeneration that occurs with arthritis. HGH treatment for arthritis provides an entirely different approach. It gets to the crux of the problem by targeting the affected joints, bones, muscles, tendons, ligaments, tissues, and cartilage. HGH stimulates the liver to increase production of insulin growth factor 1 – a crucial mediator of the effects of human growth hormone in the body. Together, these two hormones go to work stimulating cell reproduction and division. As that occurs, crucial chondrocytes (cartilage cells) and osteoblasts (bone cells) form to strengthen the structural integrity of the body. The new chondrocytes help to thicken the layers of cartilage that cushion the joints. This reduces the friction caused by bones rubbing together. Range of motion improves, and pain subsides. While all of this occurs, new lean muscle mass and improved bone density help to increase movement. Finally, a person will see a reduction in the risk of osteoporosis. 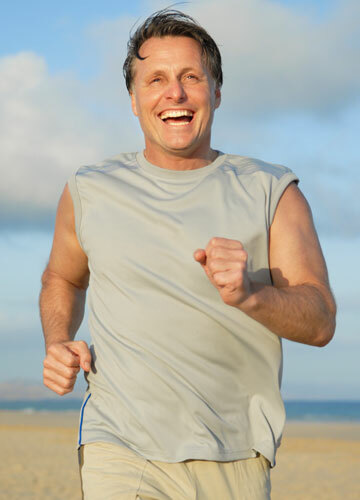 HGH therapy is only beneficial when the body has a legitimate deficiency of growth hormone. It will not be helpful for people suffering from arthritis if their bodies currently have a normal level of HGH and IGF-1. Blood analysis is the tool hormone doctors use to measure HGH levels. To find out more or schedule a blood test at a lab near you, please contact the hormone specialists at Greenberg Health for a complimentary consultation.